This product is fabulous!!! Goes on smooth, great protection, makeup on top! I love this product!!! So far so good. It does get a little greasy over the day but it isn't a deal breaker. I have yet to find one that doesn't do that and this one performs better than most in that regard. I like the feeling of the moisturizer and it works well under makeup. I love this product. I have been using this for a few years..not greasy or oily, very light weight product. It's perfect for African-American skin because it doesn't leave you looking ashy. Best EVER Sunscreen, And I have true sesitive skin! I have tried SO may sunscreens. Even bought many over the years formulated by my own dermatologists. This is hands down the best sunscreen I have ever used. I have VERY sensitive skin, it doesn't break me out and it really does the trick. I live in the Southeastern US on the coast and wear it every day. Love. Love. I am 61 years old and very religious about applying sunscreen. I first tried this on my dermatologist recommendation after having an IPL facial. It is very soft and glides on. Previously I had used Neutrogena. I think this is worth the extra money. I find that my skin looks a bit shiny after applying. I have used Skinceuticals for years that has a more matte finish. Love this product, apparently my skin is extremely sensitive. Almost every sunscreen I have used caused breakout but not this one! I have used it for 4 years tried samples of other always come back to Epionce!! I have been using this sunscreen for several years and it is truly effective in preventing sun exposure but the best thing is that it doesn't go on white and it is not greasy. 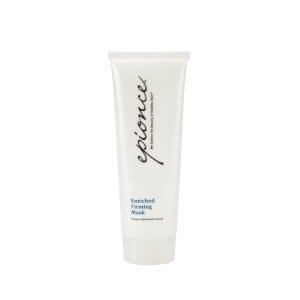 This is a great sunblock, a little bit of moisture, great protection, and weightless. Also, no white glow.